Yahoo (NasdaqGS: YHOO - news) is to close its Beijing office and leave China as part of a new cost-cutting move, with reports claiming at least 200 people will lose their jobs. The company said the functions of the research and development centre in the Chinese capital would be consolidated in other locations. There is no confirmation of how many people will lose their jobs, but Yahoo said they would be "treated with respect and fairness". Bloomberg reported that the closure will lead to the loss of 200 to 300 jobs. Yahoo said in a statement: "We are constantly making changes to align resources and to foster better collaboration and innovation across our business. "We will be consolidating certain functions into fewer offices, including to our headquarters in Sunnyvale, California." The internet firm has cut jobs elsewhere as part of a sweeping corporate overhaul as it tries to catch up with users who have shifted from laptops and desktop computers to smartphones and tablets. 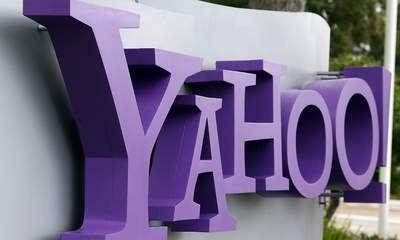 Yahoo handed over control of its operations in China to its partner Alibaba Group in 2005 as part of a corporate tie-up. It stopped offering services in China in 2013. Yahoo's profit for the quarter ending in December fell 52% from the previous year, while revenue dropped 1%.